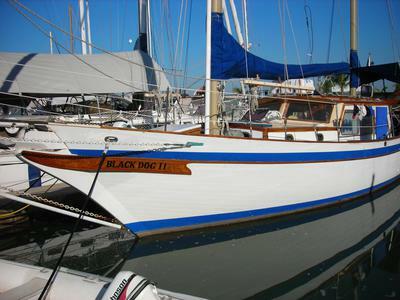 The legendary Black Dog II, a CT 41 ketch, is for sale in Bocas del Toro, Panama. 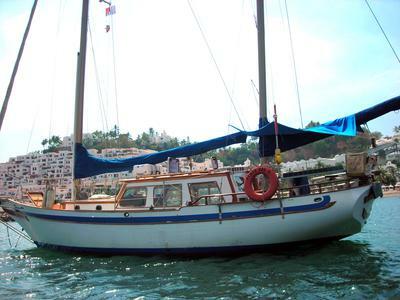 This a 1972 fiberglass hull ketch with inside and cockpit steering stations. The boat includes a rebuilt 55-hp Volvo Penta diesel with 25 hours on it. Simrad autopilot, Garmin GPS and VHF radio are part of the list of equipment. Some cosmetic work and repairs to the main mast are required to make this a world cruising boat. For that reason, the price was slashed to $29,500. 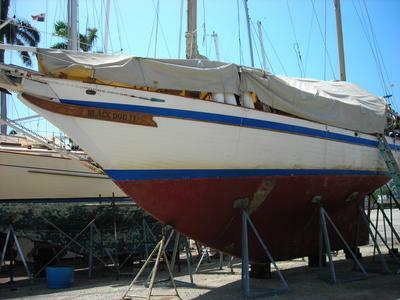 Update: Further price reduction to $22,500 as a new mast is required. 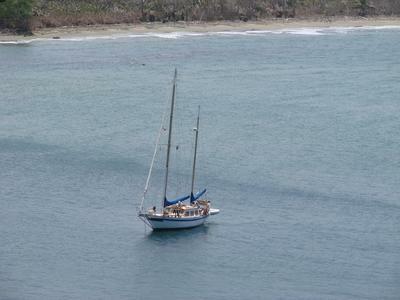 Further price Reduction to $18,500 as a new mast is required. Estimated repairs and replacement on the mast will be approximately $4,000. A replacement mast is on reserve at the Bocas Beatyard. Join in and write your own page! It's easy to do. How? Simply click here to return to sell your sailboat.